Now includes one line of personal engraving at no extra cost. 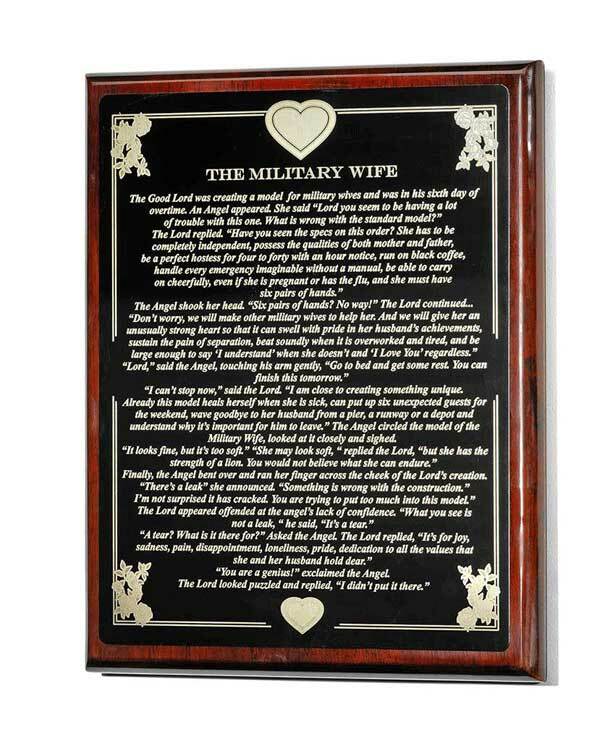 This 10.5 X 13 Military Wife Plaque features the beautiful tribute to the Military Wife laser engraved into a brass plate and mounted on a sleek Rosewood high gloss (piano finish) plaque with a soft felt backing. Let her know how much her difficult role is appreciated. With different colored plates to choose from, it's a true gift from the heart. 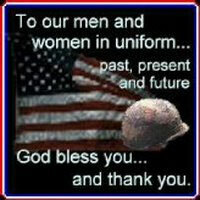 A touching story of God's creation of a Military Wife. Honor your wife, family member, or friend with this touching tribute to her courage, strength, tenderness, and unwavering support, for the military person she loves. To have this plaque Personalized, please type your text in the box below. Example......"I love you, Michelle" or "Lisa, I love you. Love Always, Tom". Free personalization up to 35 characters (optional). Enter your personal phrase or note to her.